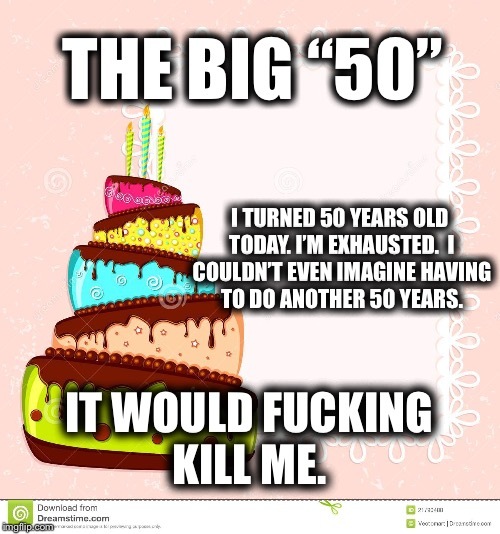 THE BIG “50”; I TURNED 50 YEARS OLD TODAY. I’M EXHAUSTED. I COULDN’T EVEN IMAGINE HAVING TO DO ANOTHER 50 YEARS. IT WOULD F**KING KILL ME.